Hey friends! Happy Friday! Well, well, well, here we are at week 26. Crazy, right? This pregnancy is pretty much just flying by. It makes me super excited, scared, and relieved all at once! Such a mess of emotions over here. 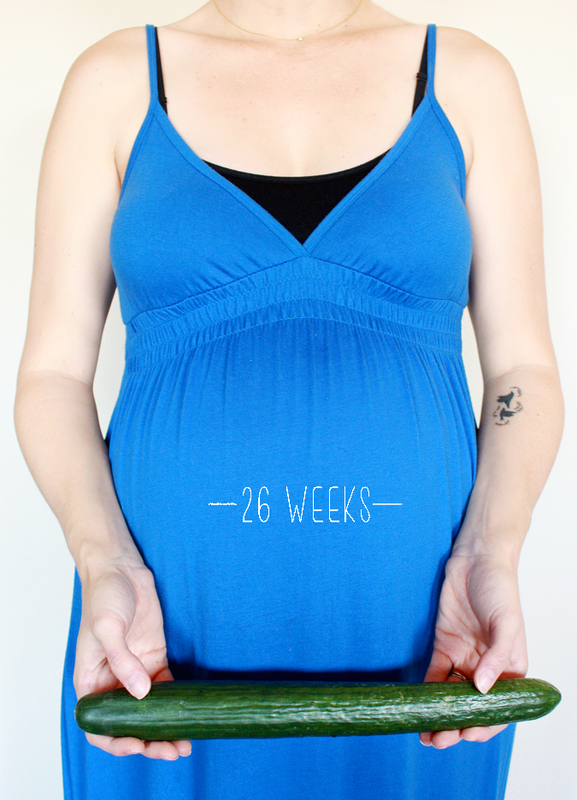 Kind of a weird veggie/fruit- but Baby Main is the length of a cucumber now! 13" long from head to foot! Wow! He can also hear noises outside of my tummy, decipher between my voice and then "others", is swallowing, practicing "breathing", has his fingerprints all developed and has a sense of touch! One of my books said if I could see in my tummy, I might catch him sucking his thumb or playing with the umbilical cord. How cute is that? All the sugary and carb-a-licious things! No joke, it's all I want. Everyday is a struggle to choose an apple or some yogurt, or a scrambled egg over 2 dozen cookies dripping in caramel sauce. Oh and Thanksgiving is coming up....oh dear. Decaf coffee with unsweetened almond milk and this homemade pumpkin spice syrup in the mornings, chai tea or lime water all the ding dong rest of the day. Also, more almond milk or regular milk at night if I notice I haven't reached my daily calcium requirement. OH! And Trader Joe's Sipping Chocolate before bed....holy cow, guys....holy cow. Same thing as usual EXCEPT, as we get closer and fun pressies start arriving, I've been spending more time than I ever imagined reading all the booklets that come with things! Like the 20 page manual for our really, really confusing car seat! Yay! My round ligament and pelvic pain to let up. What I thought was a pulled inner thigh muscle turns out to be round ligament pain and boy is it a PAIN. Started about 3 or so weeks into my 2nd trimester and hasn't let up yet. Some days are thankfully better than others, but sheesh it's hard. Hard to walk, turn in bed, lift my legs, etc. 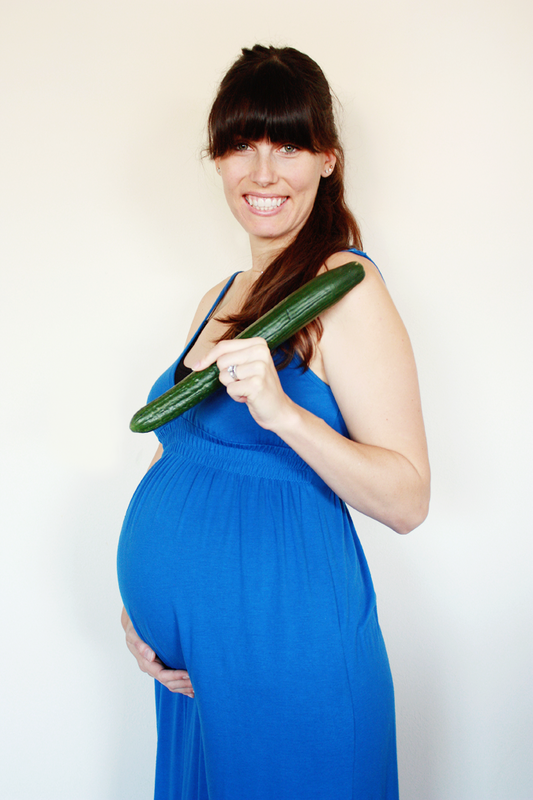 The doctor said it could let up in the third trimester, so I'm hoping it does! I will say though, that the really neat thing is the Lord has given me amazing peace to go through this little trial! Although I'm in pain and really not able to work out as much as I used to or would like to...I'm not pulling my hair out or crying in a corner. I'm sucking it up, giving it to Him, trusting in His will, and trying to move on. Pretty much the same. Between my bladder, my hips and joints hurting, and this round ligament pain, I'm up about every 2 hours to either pee, turn to the other side, or both. Tight things because they make me feel less "large". Then as soon as I come home it's jammie-time. Also, all the slip on shoes. Because gone are the days of gracefully bending over and putting/tying them on myself. Tried wearing a strapless bra the other day. NEVER AGAIN. Most uncomfortable item of clothing ever. Haha. Late night kicks and movements. It's like my own special time with Baby Main. Everyone's asleep, I'm still and quiet...and he'll just go to town. I love it! I'll usually just lay there, rub my belly, place a hand whenever he's most active, or pray for him and life. It's a pretty awesome time. Thank you girl!!! Leggings always for the win ;) Oh she is?! Haha, I can totally understand that craving! Is she having a boy? "They" say if you crave a lot of sweets that means you're having a boy. It's true for me! I WANT ALL THE BAD SUGARY THINGS. Lucky duck! That might be my favorite part of Thanksgiving- the pie making for loved ones! Good luck! So dang easy and fulfilling! So crazy that next holiday season, you'll be a family of 3! I love cooking with spaghetti squash!! This recipe sounds amazing! !